Made for little hands! 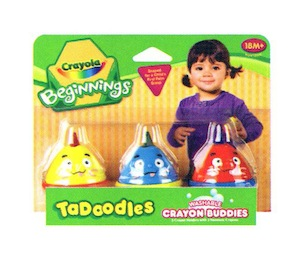 TaDoodles buddies are the right size and shape for a child's first palm grasp. They are designed to help develop gross and fine motor skills. Built strong to hold up under pressure, they are perfect for a child's first coloring experience.